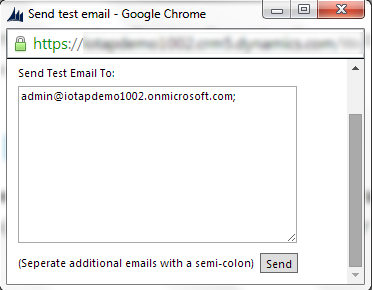 To send Test Email: click on the button “Test Email” (provided in General section of the RS Scheduled record form). This will open a pop-up (as shown below) in which you can enter “;” separated email ids. “Test Email” button works only when the current record has been saved.